Cute finish, and a pretty start. Your selection of charts is nice! Very pretty finish, I like your M'Lady's Teal change. 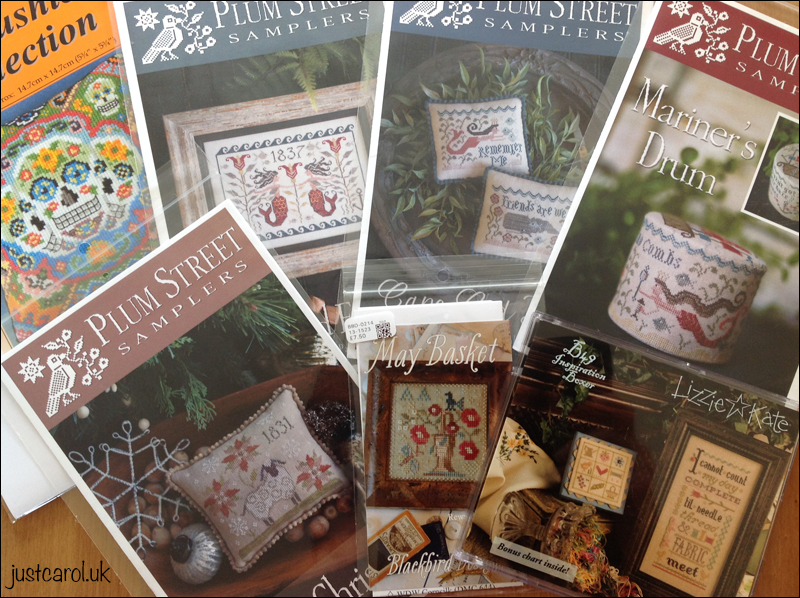 Nice new goodies to keep you busy. Very nice finish (and great advice), and your new start is lovely. 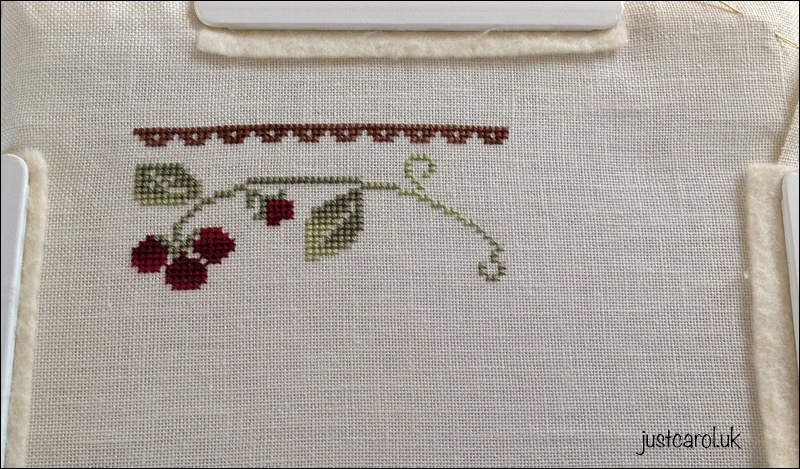 Your linen colors are glorious and your stitching is perfection. Hi Carol, It's so nice to hear from you again! I missed you for a long time and you inspired me so much in the passed time! The new charts are so lovely specially the Mariner's drum! Hope to here very soon from you. Hi Carol, Happy to read your postings. So good to see your beautiful stitching again - love your choices , very pretty! I don't really stitch or blog these days but was just flicking about and had a nice surprise you had posted. Welcome back! This is why I never delete anyone from my Reader. 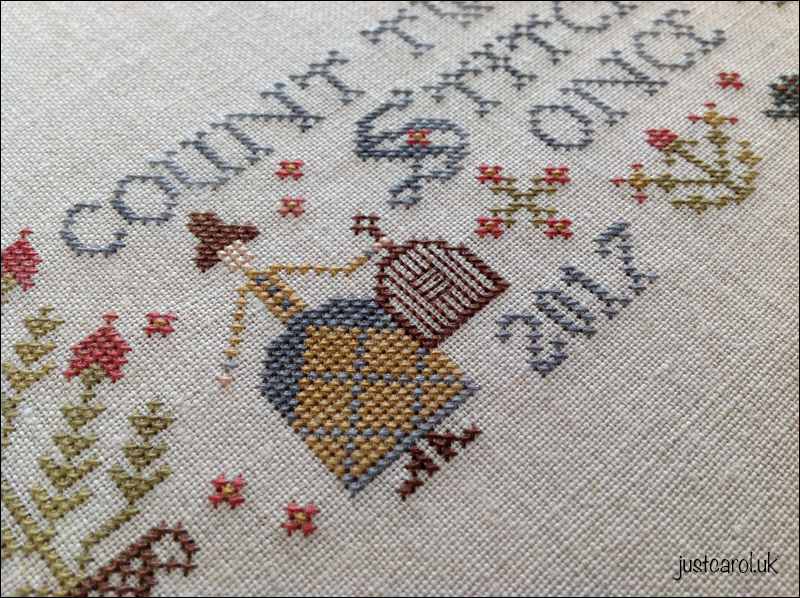 Lovely to see what you've been stitching in your absence too. I'm also a fan of the higher count fabrics. 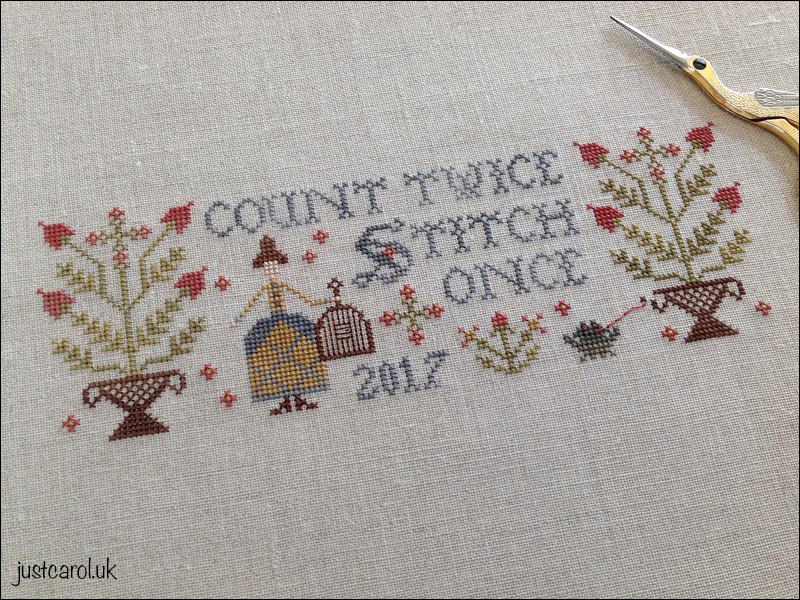 Count Twice is definitely my motto too, great design and lovely stitching.